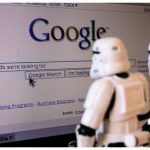 Is it time for an SEO audit? Since you’ve landed on this article, you have a vested interest in your website performance. Well, kudos, my friend—you’ve found the right information. When it comes to attracting your ideal market, online visibility is the key factor. When I say “online visibility,” I’m not talking about the way your website looks. In fact, your website might be the most beautiful entity in the history of the Internet. But in truth, Google doesn’t give a crap. They’re interested in all the internal mumbo-jumbo that is easy to overlook and tedious to repair. As you work tirelessly to crank out the most relevant content and create a streamlined user experience, you might miss those few major issues that tarnish your website’s search rankings. —Relevancy of blog articles, internal landing pages, etc. —Image names, alt tags, and no-follow anchor tags. Click here to have an SEO audit done at no cost. —The pages you’ve included on your website map. —The pages you’ve decided to remove from your website map. —The quality of your redirects. —The amount of duplicate content that sullies your search rankings. Yes, that takes a bit of time. And double yes, you can never have your time back. And triple yes, you might have to sacrifice doing something important to get this part of the SEO audit completed. Or you can have your SEO audit done here, for free. And finally we have the linking section of an SEO audit, which determines key linking related issues to a website. Bee tee dubs, this section also looks into social media mentions, which Google uses as a measuring stick of quality. —Performing a competitive link comparison. —Looking at inbound followed links. —Checking on authority and trust. You’re about to receive a ton of messaging surrounding the end of the year. And while much of that information is relevant, the most important New Year update is what Google has in store. Several new changes are on the horizon. The rise of video, social media outreach, and deep crawl are just a handful of changes that Google will outline in its algorithm update. And that’s why an SEO audit is your perfect next step before the New Year. 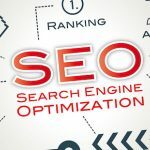 Click here to access your free SEO audit.